Welcome to the official website for Interapp Development, Inc. We are a small custom web-application development company who's mission is to provide and architect simple and elegant solutions for our clients' everyday business problems. We specialize in architectural methods using the Microsft .NET Framework and regard the art of simple & clean coding as a means to provide quality Web-based software applications. We also have a passion for the principles taught by the school of Web 2.0, bringing life to the web by sharing and syndicating content. Web 2.0 web development combined with the robust .NET Framework provides for a rich user experience in Web based applications. 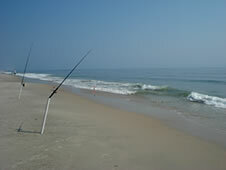 We are located on the beautiful Eastern Shore of Maryland, about 1/2 hour from the beach in Salisbury, Maryland. Along with our local client base, Interapp also works with clients on a National level thanks to recent improvements in collaboration software. Because of our lower cost of living here in Salisbury, we can deliver affordable rates to metropolitan areas. If you are interested in hiring Interapp to help, please contact webinquiry@interappdevelopment.com. Copyright © 2019 Interapp Development, Inc. All rights reserved.